Faithful Reproduction Superior Gum Vendor Mounting Bracket for attaching their Gum Vendor to the side of a larger floor model Vintage Vending Machine. 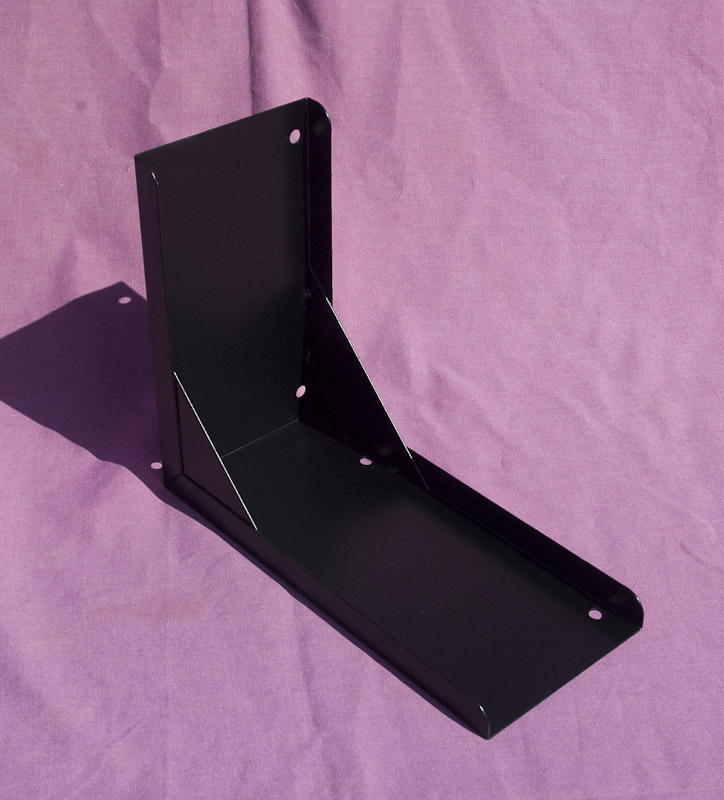 Our meticulous attention to detail results in a quality reproduction Superior Gum Vendor Mounting Bracket. Utilized for mounting a Superior Gum Vendor to any upright floor model Vintage Vending Machine. Approximately 10" tall by 8" deep and 4 3/8" wide; finished in Satin Black powder-coating. Also pictured is an "Original" Bracket as well as the Superior Gum Vendor for reference only!